September 5 is the centennial of John Cage's birth, a landmark in the classical world—throughout the year concerts, lectures, and other commemorations will honor his music and philosophies. Cage has few equals in the modern era when it comes to transforming what music can be, from his early embrace of electronics to his efforts to get listeners to reconsider the definition of "noise." On Sat 3/31 at Floating World Gallery (1925 N. Halsted), pianist Eliza Garth will perform one of Cage's earliest and most enduring works, Sonatas and Interludes (1946-'48), which consists of 20 short pieces for prepared piano—"prepared" meaning it has bolts, screws, bits of rubber, and other objects inserted into its mechanisms. The free concert (reservations are required) is a preview of A John Cage Festival, presented by local experimental-music collective Aperiodic and running from April 13 to 15. 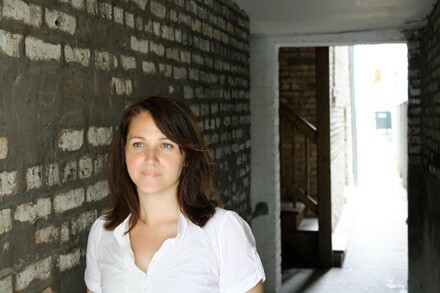 Composer and Aperiodic director Nomi Epstein says she didn't realize how underappreciated Cage was in the States till she attended Germany's Darmstadt festival in 2010. "I was shocked that nearly every lecture given by the list of European notables mentioned Cage," she says. "It was an enlightening experience for me to consider Cage's influence was so strong and so alive in European circles of academia, when in America his works are often presented briefly on the day in class that graphic scores and 4'33" are discussed." Epstein's festival includes concerts at the Chicago History Museum, PianoForte, Collaboraction, and the Fine Arts Building's Curtiss Hall. Most of the performers are from local groups—Fulcrum Point, the CSO, Ensemble Dal Niente, and Allos Musica, among others. The programs feature Cage works from throughout his career, many of which employ indeterminacy—one of Epstein's interests. Perhaps most impressive, considering the number of performers and the amount of rehearsal time, the shows are cheap—$12 to $15, and as little as $8 for students. "It's a very grassroots initiative, where everyone involved has been incredibly generous and driven to make the event successful," Epstein says. "I think there is a misconception that a lot of this work is 'easy' to perform based on a glance at the score, but I believe it requires a real commitment," says Epstein. Most ambitious are the two rare performances of the monumental 1965 multimedia work Variations V, both at Collaboraction on Sat 4/14. Photocells triggered by dancers send signals to TV and VGA monitors, and audio and video of the performance is fed back into the electronics—suffice it to say, it's complicated.